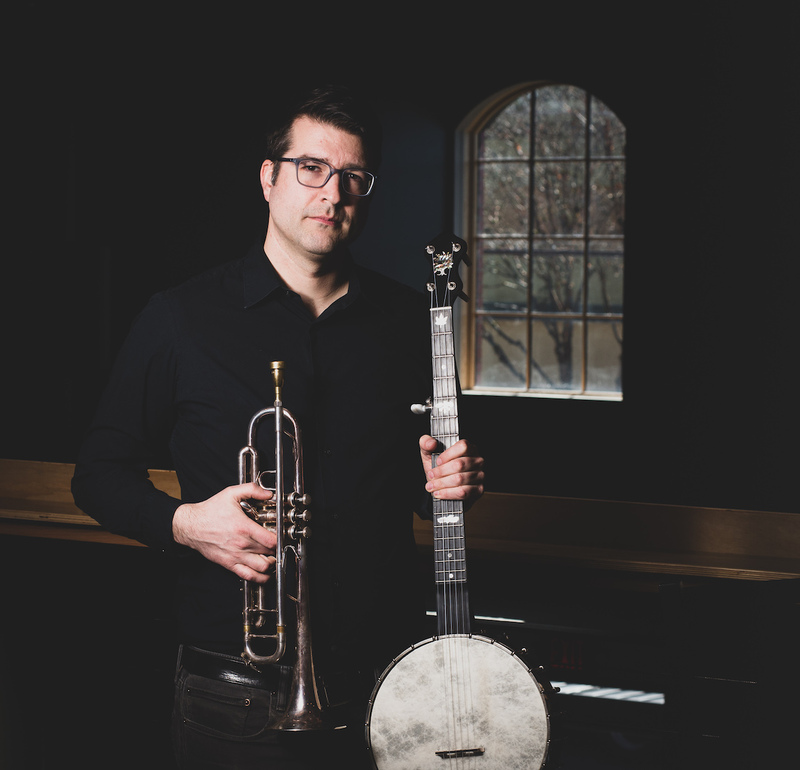 Douglas Detrick is a composer, songwriter, trumpeter, banjoist, podcast producer and arts leader whose work in these diverse areas is distinguished by its quiet thoughtfulness and its embrace of good ideas from unconventional sources. He was awarded a 2017 Oregon Arts Commission Individual Artist Fellowship, and leads the chamber-folk quartet Little One, chamber-jazz quintet AnyWhen Ensemble, and is the Executive and Artistic Director of the Portland Jazz Composers Ensemble. He has performed throughout the United States at venues including the Stone, the Phillips Collection and many universities.